At Morningstar, we are committed to supporting all investors with an independent perspective they can trust. The 4-week premium trial is an opportunity to learn more about how Morningstar’s research and tools help our subscribers reach their financial goals. If you have not yet done so, sign up for a trial to experience Morningstar Premium for 4 weeks without cost or obligation. We have created a two-part Morningstar Guide to Investing to help introduce ourselves. To learn more about the Morningstar Investor, read part one of our guide titled Who we are and what we believe. 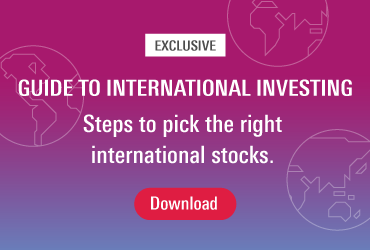 Morningstar provides a variety of ways that you can discover new investments including screening tools, reports on our top rated investment ideas and model portfolios. As a leading independent provider of investment research, Morningstar provides our subscribers with support in assessing new investment ideas, reviewing current portfolio holdings and / or validating third-party advice. Avoidance is the one financial strategy that is guaranteed to fail. We have the tools, commentary and insights to allow our subscribers to stay on top of their investment portfolios.